The human mind is a mysterious thing. The brain alone has posed numerous mysteries to scientists, philosophers, and mystics alike. Yet according to modern science, the brain may not actually have the capacity to house the entirety of human consciousness and potential within it. If this notion is true, it seems to suggest that there is much more to consciousness and the human mind than modern studies have previously assumed. 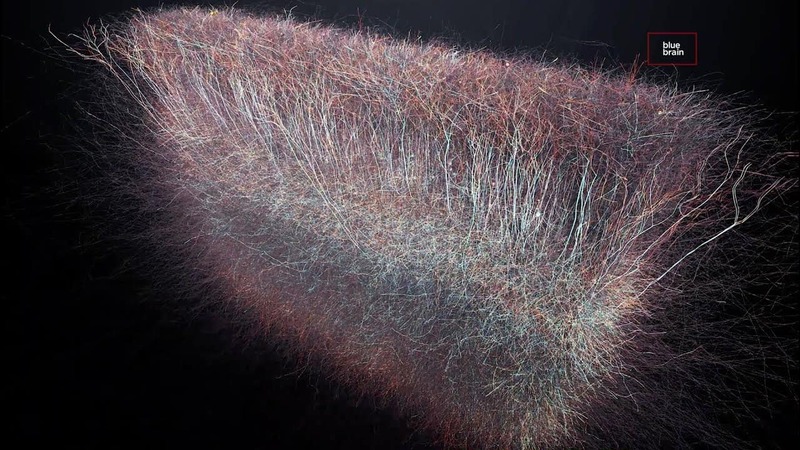 Recent findings within neuroscience have actually revealed evidence of what they believe to be a multidimensional component of the human brain. These findings follow more along the lines of scientific convention. However, the details within these revelations seem to suggest that there is more to the discovery than current reports reveal. In fact, the information within this report comes so close to notions of alternative science that we might say these studies represent a sort of soft disclosure of hidden truth. Let's examine. Here is the website, Educate Inspire Change, with the discussion. Though mainstream science can often leave much to be desired with regard to progressive detail of theory, this exploration seems interesting. To add, it is promising to see that at least certain universities are considering the existence of the multidimensional aspects of the human brain. Some may read about these discoveries and think it encouraging to see such progress in thought. Then again, some of us may think it somewhat unfortunate that scientific convention shies away from discussing certain concepts—concepts which reveal the obvious need for further investigation into the unknown. The modern-day trend within most areas of mainstream science is to look back into history and assume that our ancient predecessors were completely incapable of making even the simplest of observations with regard to notable science. Modern scientists seem to place themselves at the pinnacle of human existence without ever considering the possibility that everything they have achieved thus far may merely be an echo of ancient discoveries or lost knowledge. Likewise, in modern universities, students in science are taught to make several unfounded assumptions about their intended practice. These assumptions can easily wind up preventing would-be scientists from making notable progress in their field of study. Much of the dogma which the scientific establishment promotes as fact is merely a belief system which has been preached to scientists during their studies and maintained with little or no attempt to contradict or explore alternative principles. This belief system and selective ignorance are two of the main reasons why so little is understood about the pineal gland within the human brain. It also suggests that what we might find within this gland may be significant. 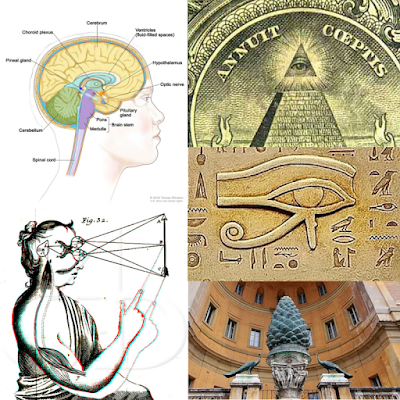 By all appearances, the pineal gland seems to be one of the most underappreciated and yet the most crucial organs in the human body. This small, pine cone-shaped gland at the center of the brain is responsible for the regulation of serotonin and melatonin within the brain, which are directly responsible for the sleep function as well as the body's sense of general well-being. Both of these functions are crucial to the health of the human body and have been found to be directly connected to the pineal gland. This makes it strange to see how little attention this organ receives from established science in comparison to the major attention it has received from ancient cultures around the world. In fact, according to the records of ancient civilizations, this vital gland may actually be the center of human consciousness. 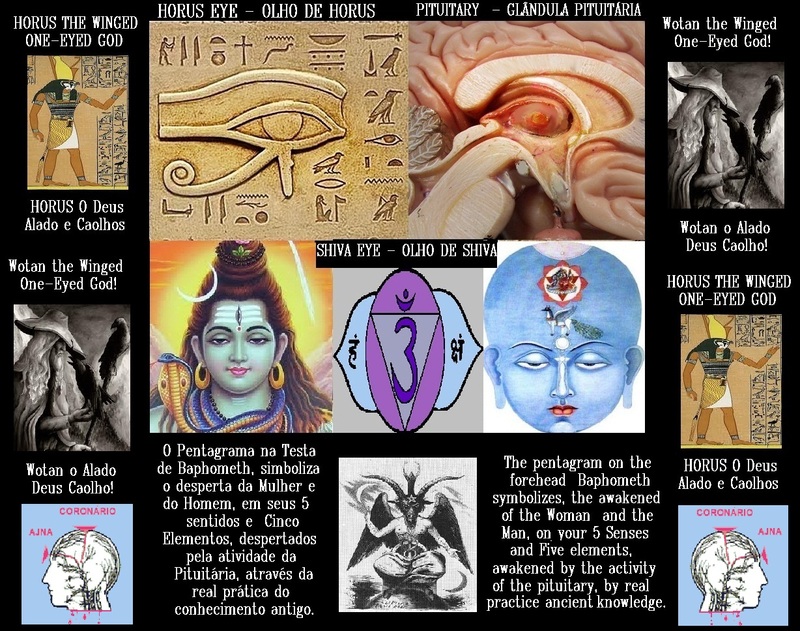 Numerous cultures and religions from around the world—from ancient Buddhism to Hinduism, Egyptian polytheism, and even the roots of modern Catholicism—all seem to revere the pineal gland in their own way. It seems that these cultures viewed this area of the brain as a doorway into higher states of consciousness. This tiny gland was actually seen as a gateway to the divine and the key to greater levels of spiritual insight and universal awareness. These beliefs may be the reason why we see so many artistic representations of the pineal gland from different areas of the world throughout time. It is believed and in many cases, scientifically proven that the pineal gland gives us the ability to envision images within our mind and to have dreams when we go to sleep. Some researchers have even found evidence to support the ancient belief that this organ is able to tune into various remote locations in space and time—allowing practitioners to see beyond the limits of their physical eyes. Along with this array of religious beliefs, the CIA has actually declassified extensive amounts of information suggesting that humans actually have untapped psychic abilities, and in many cases, these abilities have been used by those within military intelligence, according to research. The evidence which supports these findings is rather extensive. Consequently, we will not go into detail at this point. For now, let's explore the implications of this superhuman ability to see beyond space and time. If the unconventional beliefs about the pineal gland are true, the multi-dimensionality of the human brain mentioned above may not merely rest within the confines of mainstream scientific theory. Rather, the missing (and arguably misdirected) components of the sciences have much to learn about the true significance of multi-dimensionality. According to current scientific theories in astrophysics, there are around ten different dimensions of existence. Upon hearing this, some of us may get excited and believe that these dimensions actually relate to the definition we are all used to—that being parallel realities or universes. However, most people are typically disappointed to realize that modern science does not explore the very real possibilities of alternate dimensions/universes. Instead, what most scientists explore is limited to simple mathematical anomalies which are deceptively called "dimensions." Some physicists may simply look at the familiar X-Y-Z graph we are all used to (representing the three dimensions we know as width, height, and depth) and arbitrarily begin adding axes to it. Yet, never do these intellectual pursuits consider the possibility of alternate realities (at least not on the public side of science). The more interesting explorations on the subject of dimensions seem to be limited to the world of sci-fi entertainment within comic books and cinema. Yet when it comes to real and respectable pursuits into the concept of a multi-layered universe, mainstream science has little to offer on the subject. In this case, the scientific obtuseness seems thick. Whatever reason mainstream science has for avoiding these alternate explorations like the plague, we know that we are free to explore all possibilities. In fact, in numerous areas of reputable alternative science, there is much consideration on the subject of our multidimensional universe. It is this very possibility of a multi-layered universe which we discover as we study the pineal gland. This appears to have been the belief of numerous ancient cultures from around the world. It also suggests that we as a society have much to gain after we finally choose to explore it. As we may observe, many modern scientific pursuits have led to some rather impressive developments in our current society. Yet at the same time, many have observed a certain lack of insight within certain areas of research. Granted, research and development are where the majority of scientific progress is made and applied. However, there is one scientific perspective which has a way of stifling the overall progress of research. There are certain assumptions about the universe which have slowed down the progress of physics on more than a few occasions. As one of them states, "The universe is only composed of one layer of randomly occurring mechanisms, and has limited energetic potential." In a world where the profit of large energy companies is based upon this notion of limitation, there may be some purpose to this assumption. However, in general, it does not seem practical for a reasonable establishment such as science to be presumptuous when it comes to the endless possibilities within our universe. When we assume we are the first or the only civilization to make an achievement, as modern scientists are often taught to, we can cheat ourselves out of the discoveries which would have propelled our knowledge further. We deny ourselves the ability to reach beyond present limitations. This becomes particularly important, as much of the scientific establishment seems to consider some limitations to be practically immovable. It seems that in numerous ways, science is compartmentalized so that no one is actually able to compose meaningful studies and ideation into progressive modes of thought. Physicists, astronomers, mathematicians, chemists, biologists—all are handed a portion of the truth to dedicate their lives to so that these branches can advance slightly in their own respective directions. Yet, all of these professionals often do so without knowing that the other areas of scientific pursuit may hold the answers they dedicate countless hours to discovering (often without success). This compartmentalization has reportedly been central to the inability of established science to progress any farther than it had in 1940 (at least with regard to energy production). Since ancient times, the pineal gland has been believed to be the seat of the soul and a gateway into higher states of existence. This organ might very well be a doorway into higher dimensions of consciousness, perspective, and thought. If this is true, the above article may be some type of a soft disclosure of the fact. If there were an intent behind mainstream science to introduce new and seemingly far-fetched ideas to the general public, discussions such as the above post from Educate Inspire Change may be the chosen medium. In fact, according to numerous sources, there is a strong possibility that they are. There is a growing effort behind mainstream science and technology to introduce subjects which in the past have been relegated to the arena of sci-fi entertainment, according to research. For whatever reason, these subjects are slowly being combined with the concepts of established scientific belief in order to assist the public in adapting to them. According to whistleblowers, this new introduction has been initiated because many of the current theories tossed around in science are highly inaccurate. They hold little to no ability to actually advance technological development beyond its current juncture. Consequently, in order for humanity to advance in these new ways, it has been decided that matters of classified science be gradually disclosed to the general public via the media. The only catch is that these disclosures are not allowed to happen at once. Consequently, much of the public is left with only notions of new discoveries while at the same time, they are convinced that numerous scientific concepts which have been obsolesced are still the latest and greatest in established science. However, according to numerous scientific sources, this is far from the truth. It seems that the true development of scientific study has stretched far beyond that which mainstream publications suggest. Fortunately, according to research, we do not have to rely upon the mainstream to keep us abreast with cutting-edge science.